As February comes to a close, baseball fans everywhere celebrate the beginning of Spring Training, as the players of America’s pastime take to the fields in anticipation of the 2017-2018 season. And while the beginning of baseball season won’t officially begin until April, teams utilize this preparation time in order to maximize their chances of competing for a pennant title or a World Series championship in October. Similarly, while camp may still be several months away, camp directors and leadership teams across the country are taking steps to ready themselves, and their camps, for another incredible summer in 2017. And one of the most vital of these pre-camp steps involves hiring the energetic and supportive young adults who will make up camp’s staff in the summer. Maine Camp Experience camps place an incredible emphasis on hiring mature, responsible, and energetic camp counselors, and make sure they do their due diligence when making these all-important hiring decisions, and camps are now in full swing with staff recruitment. First, camps will decide which counselors from previous summers they would like to welcome back to camp, and extend these invitations to those counselors who earned them. Once they have a sense of which counselors will be returning, it’s time to find the next great Maine camp counselors. Many camp counselors are college students and young professionals, and camp goes to great lengths – literally – to ensure they find the best. 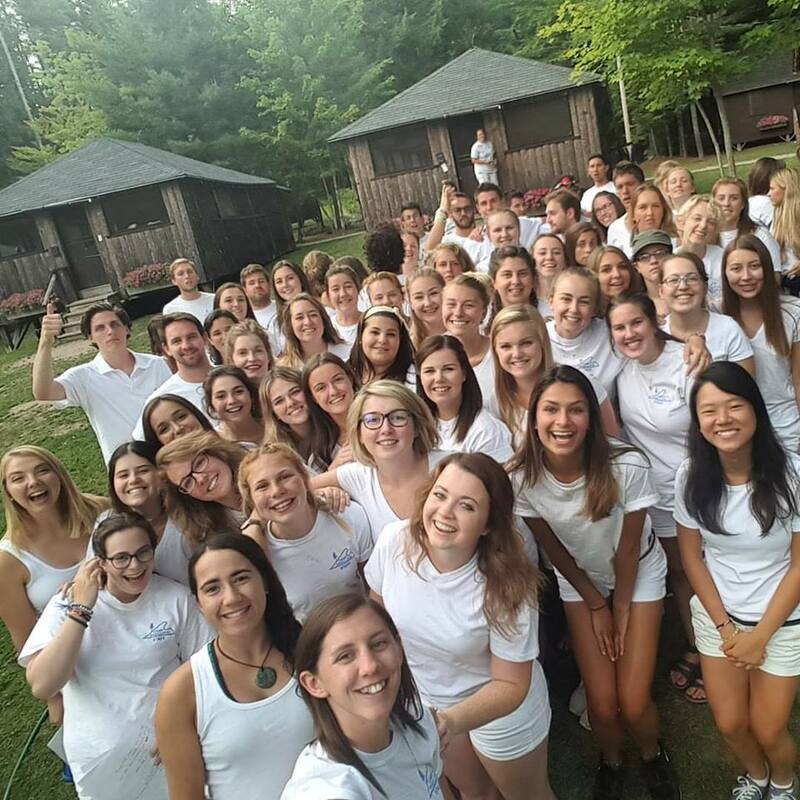 Maine Camps do a great job recruiting from college campuses across the U.S. to attract college students who can offer first-class activity instruction and be wonderful role models for each of the campers they support. Additionally, camps will oftentimes travel to hiring fairs abroad, and work closely with reputable agencies and Maine Camp Experience partners such as Camp Exchange USA (CIEE) and Camp America, in order to identify qualified candidates. Hiring fairs may take place in England and the UK, Ireland, Continental Europe, or Australia & New Zealand. Camps also do a great job of utilizing online resources such as Skype to hold interviews with candidates. While the most important aspect of hiring is identifying talented, mature, and responsible young adults who will be able to care for their campers, it is also important for camp to take logistic considerations into account as well during the hiring process. At Coed and Brother/Sister camps, this means ensuring that camp attains a balance between male and female staff. At single gender camps, they may not strive for balance, but they will strive to hire an appropriate number of staff members of the opposite gender to fulfill all camp roles. At boys camps, there are sometimes “bunk moms,” while at girls camps, the male staff may be responsible for facilities upkeep during the course of a summer. Camps also need to ensure that all activities are staffed, and that there are strong counselors in each area who will be able to effectively lead their activities. Hire counselors will be screened and will go through extensive training at camp in the spring before campers arrive. All Maine Camp Experience camps recognize that a child’s well-being is the first priority during a summer spent at camp. As a result, they place incredible emphasis on identifying and hiring the most capable and qualified counselor staff, who they can feel confident will be able to lead the campers through an enjoyable and successful summer. Every camp may look for something slightly different in a counselor, as every camp has a unique culture and each counselor will present a different fit. However, by prioritizing the hiring of quality staff members, Maine camps ensure that they can continue providing quality summers to all campers lucky enough to attend. And, as I and many other camp counselors have learned over the years, being hired by a Maine Camp Experience camp is a gift in and of itself.